Spill Support for Sunken Tug - Global Diving & Salvage, Inc. 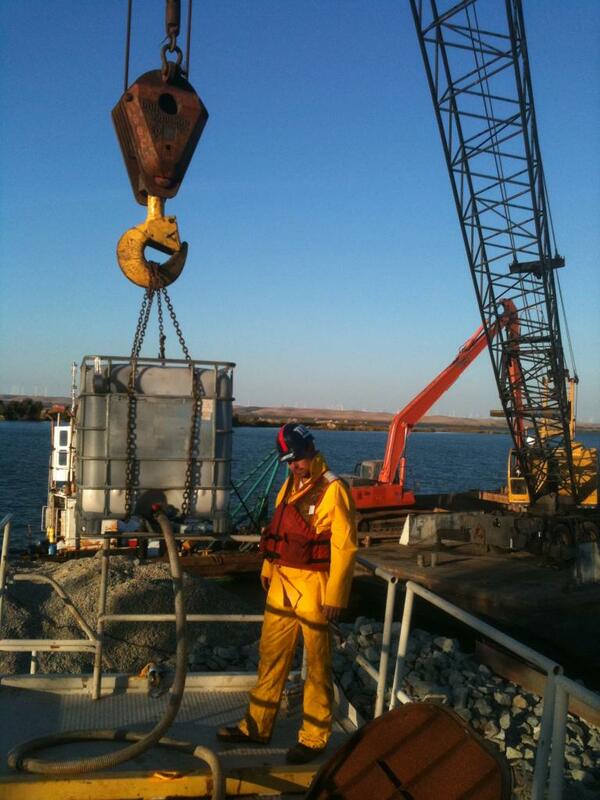 Global was contracted by a local dredge company to clean up oil that spilled when a tugboat sank near Pittsburg, CA. The Global crew deployed containment boom, sorbents, and a skimmer to contain and recover the oil that spilled from the tug. 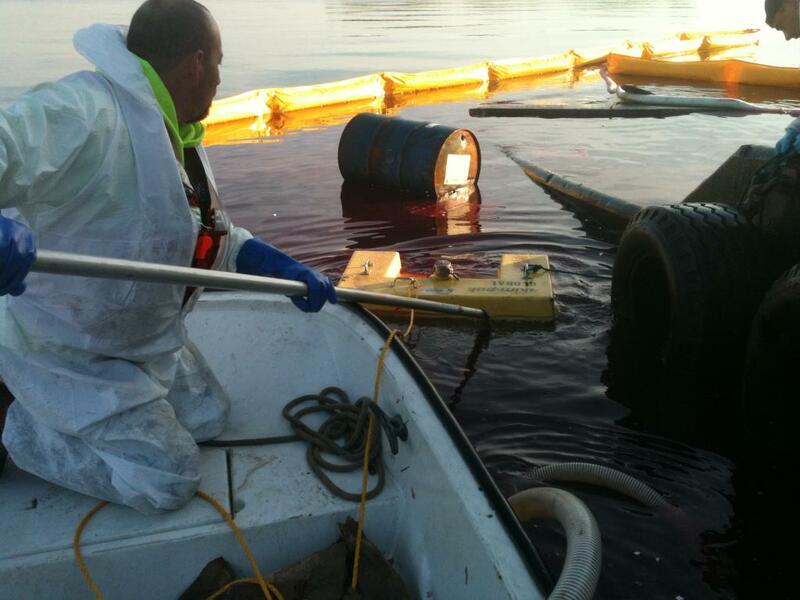 After the tug owner re-floated the vessel, Global crews defueled it, removing over 3,000 gallons of oil and water from the bilge to a Baker tank onshore.